I’m sure some of you were wondering if I would ever crawl back out of my hole. Well, I guess I am now, insha’Allah. 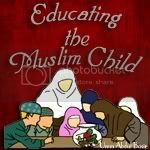 We’ve been working hard on trying to balance everything out – get settled in homeschooling, get adjusted to new baby and her many demands (masha’Allah), and with everything else that comes our way. Alhumdulilah, we are still here – we are still homeschooling and I am (from time to time) still making new materials. Along the way I have also found some things that are really neat to use with the girls for different subjects and want to share them with you, insha’Allah. Right now, I just wanted to say that we are here – we are back and expect to hear from me soon. Some things have changed. We have decided to enroll our oldest in K-12 this coming year. Believe it or not, we are pretty excited. Now, before I get accused of “bailing out” I want you to know that we are still homeschooling and we are ensuring that our daughters have the right influences in their lives and that is why we homeschool. I would love to hear from any other parents who have used K-12 curriculum as I have questions! We will see how this year goes – if it does not go well, we will have to rethink our plan. We are ready for that possibility. Anyway, just wanted you to know that we are doing well and I plan to post as soon as I can get some free time, insha’Allah. I look forward to sharing with you. By the way: Believe it or not that picture at the top of this post is actually a photograph of a science experiment we conducted. We had so much fun and I enjoyed how the picture turned out that we made it into a background for our computer (a tad altered)! Yes, I have been trying to learn a bit about nature photography and the like (one of my many passions!) which I hope to develop, insha’Allah. TabaarakAllaah! It’s good to hear from you, ukhtee. I’ve been worried, but I guessed you were extremely busy. You’re not the only one ‘taking a new turn’. Junayd will be starting nursery (I thin that’s equivalent to pre-K where you are) part-time. I feel guilty for letting him go, but also guilty for keeping him at home. We just do things for our kids and we shouldn’t let ANYONE make us feel otherwise.